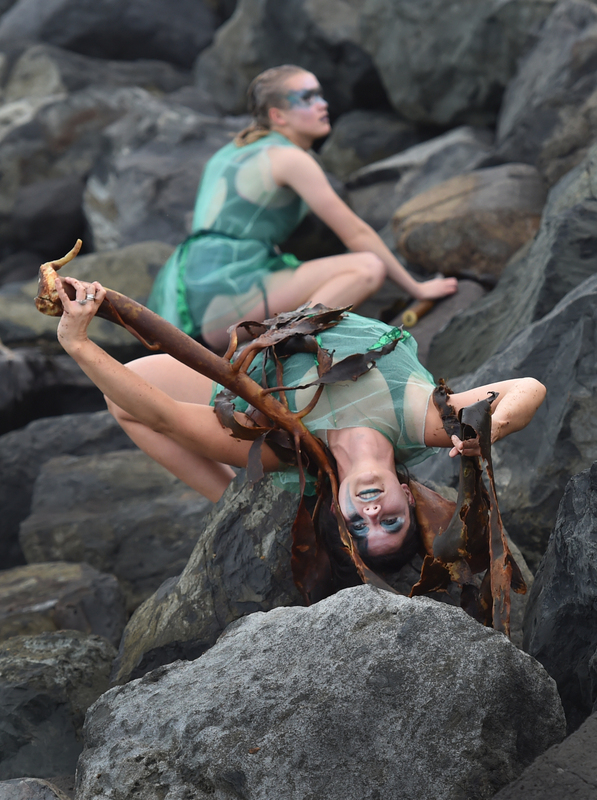 Performers Victoria Bernard (26, front) and Fern Stoddart (16) provide a mesmerising entrance to Fringe show Elemental on the rocks outside the St Clair Hot Salt Water Pool in Dunedin last night. The team that produced last year's Circus Alice created a production which used movement and music to tell the story of a Maori creation myth, using the outdoor swimming facility as the stage. The show will run at the St Clair venue until Sunday, starting at 7.30pm.